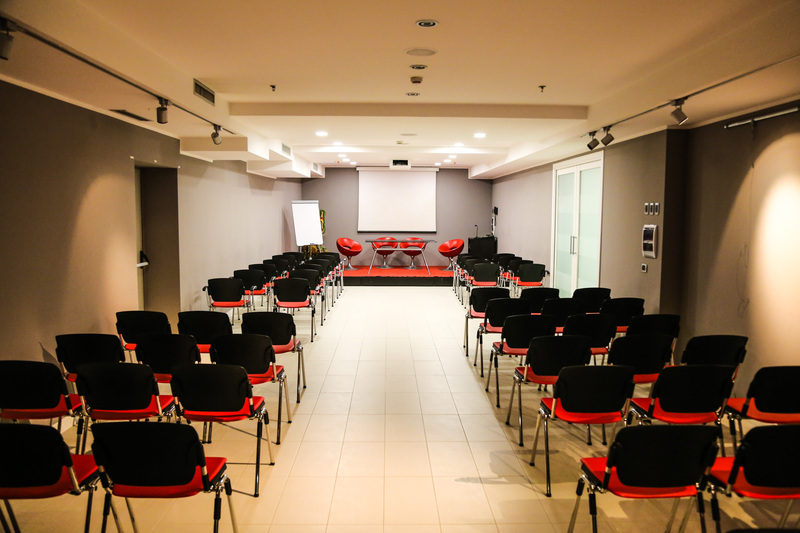 Il Marconi Hotel has a meeting hall which is approximately 120 sqm and has a total capacity ranging from 100 to 120 seats, based upon the layout requested. 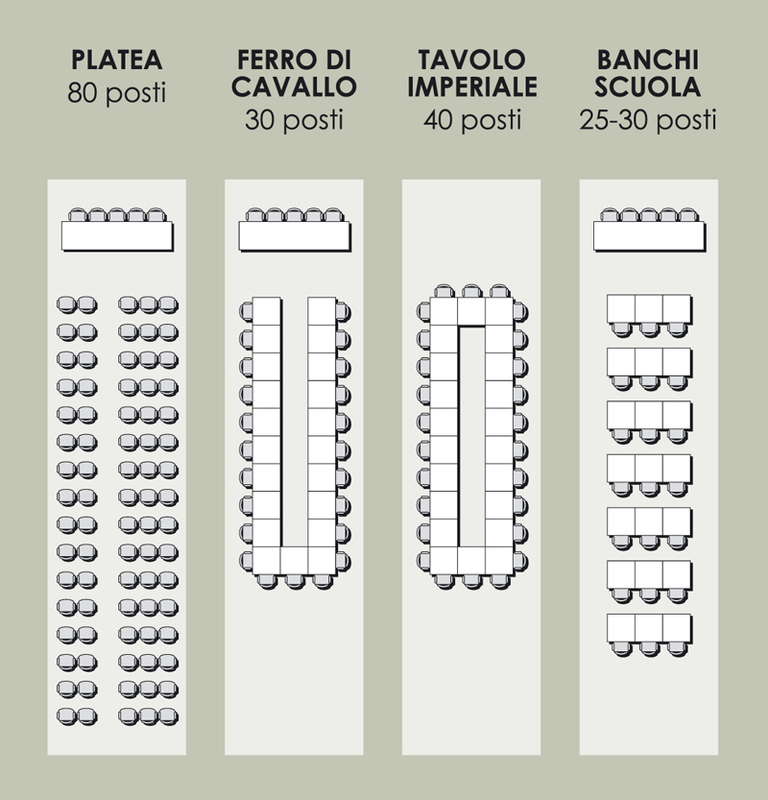 The hall has two entrances; the first is accessible directly from the hotel lobby where you can access the area via the lift or the stairs, or the second entrance which is directly through the Marconipiù shopping mall. In this area, one is able to project images from a stationary spot using a high definition projector on a totally invisible canvas. 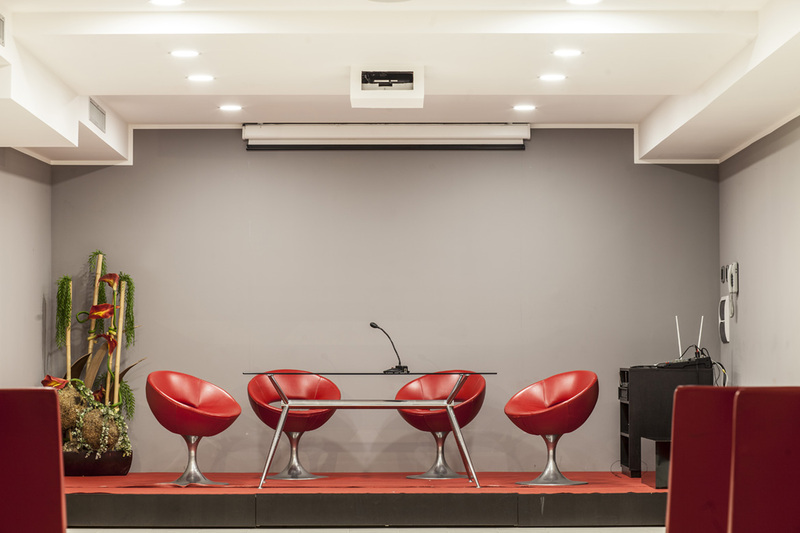 Amenities: latest video projector, Wi-Fi connection, conference-specific audio system, adjustable lighting system, flipchart, Speaker table, coffee break space, and reception/secretary. The room is suitable for all types of set-up's such as: regular hall layout, horseshoe table, single block organization and school desk set up.